In accordance with the Supreme Court's ruling on December 29, 2011, upholding the constitutionality of AB 1X 26, the Redevelopment Agency for the City of Colton dissolved as of February 1, 2012 along with all other Redevelopment Agencies within the State of California. The elimination of redevelopment represents the end to the City's most powerful economic development tool for job creation and affordable housing. Pursuant to the implementation of AB 1X 26, the City, as the Successor Agency to the former Redevelopment Agency, will provide basic administrative support in the dissolution process. An appointed, seven-member, Oversight Board will oversee the payment of all existing obligations, the liquidation of all current assets of the Agency, and disposition of all proceeds and unencumbered funds to various state taxing entities. 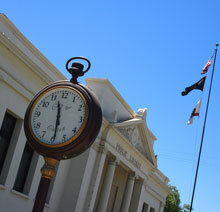 The City of Colton will continue to move forward the goals for facilitating the development of many needed projects, including the City's priority of a senior housing complex, and other affordable housing, along with retail and commercial development, without the tools of traditional tax increment-based financing. The City will be focused on the high quality of living, education, job creation, community health, public safety, housing, retail, regional recreation, arts and culture, and infrastructure for development that is sustainable over time. 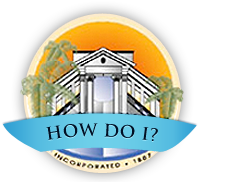 Colton will be a destination for visitors and a home for anyone seeking a sense of community and a high quality of life.